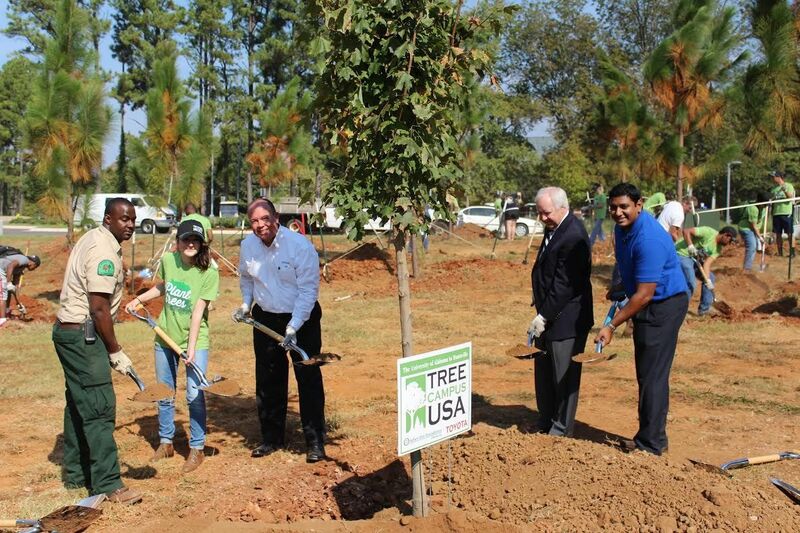 Since 2014, UAH has been certified as a Tree Campus USA by the National Arbor Day Foundation. Each year, the Tree Advisory Committee strives to maintain this certification by updating the Tree Care Plan, holding an Arbor Day Ceremony, and increasing tree canopy coverage and engaging students through a Service Learning Project. 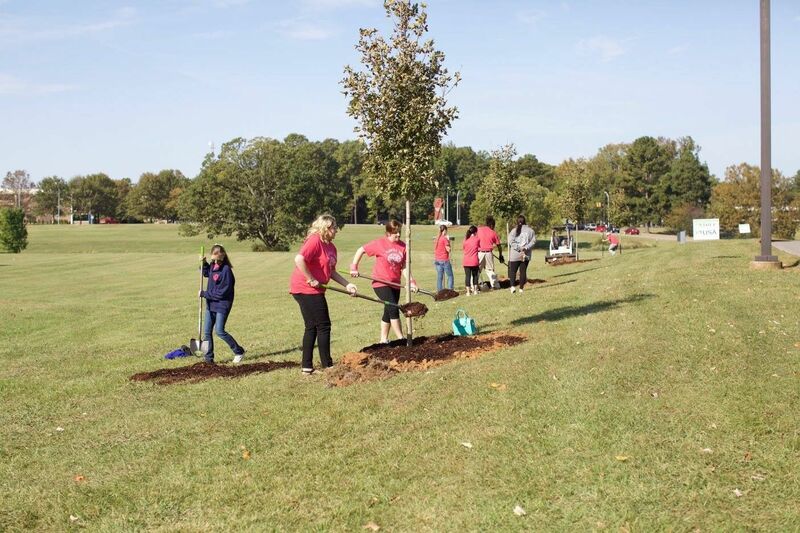 Each October, Chargers for Sustainability hosts a Service Learning Project where students, faculty, staff, and community members come together to plant trees on campus! This year's tree planting will be held in October 2018. We look forward to seeing you for our fifth annual planting! If you have questions, please contact the UAH Sustainability Coordinator. Each Spring, UAH celebrates Arbor Day with an awareness event sponsored by the Sustainability office. If you are interested in volunteering or sponsoring an event, please contact the UAH Sustainability Coordinator. This year, the Sustainability Office handed out tree seedlings in the Charger Breezeway on Friday, April 27th. We had Redbud, Dogwood, and Sugar Maple seedlings. It was a great success!